Want it by Thursday 25th April? Order within 8 hours, 57 minutes and choose Special Delivery 24 Hour Delivery (Signature Required) at checkout. 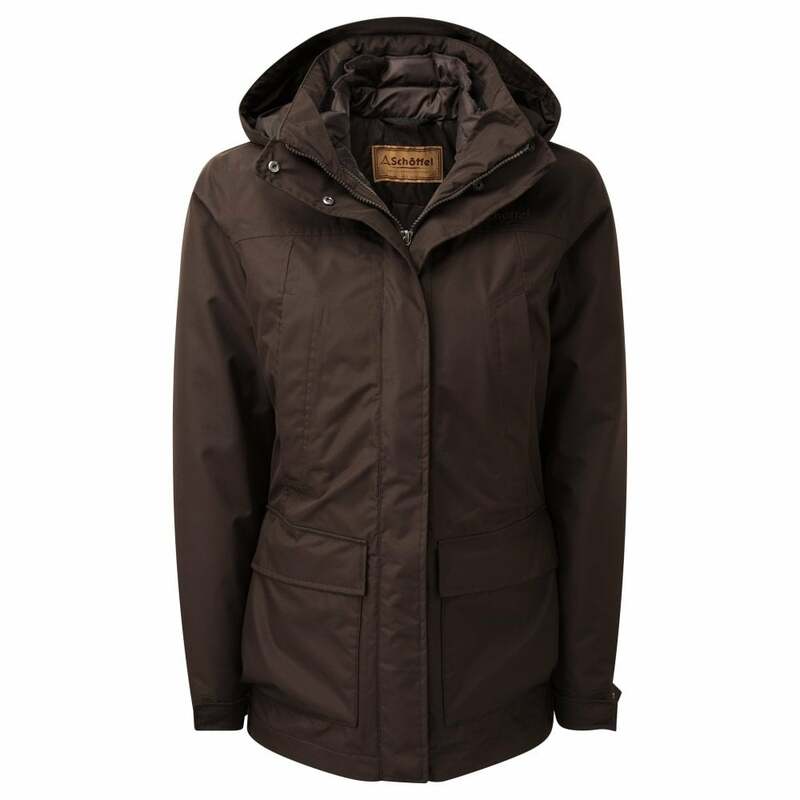 The Langham Coat is the latest 3 in 1 women's coat from Schoffel, designed to keep you warm and dry whatever conditions you venture out in. This coat is light weight, breathable, 100% water and windproof with removable quilted inner jacket. This removable quilted jacket is made of Primaloft insulation, it looks great and offers superb warmth even when worn separately. This versatile and adaptive coat features fleece lined pockets and detachable hood. Wear the thin outer layer for lightweight waterproof protection or zip in the quilted jacket to protect you even on the most British of winter days.